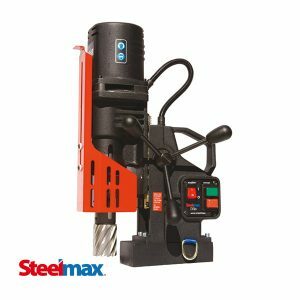 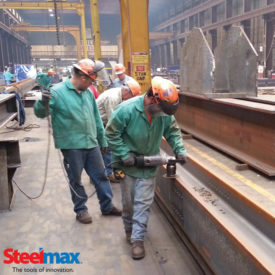 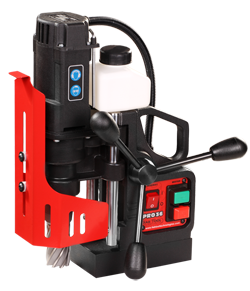 The Steelmax BM16 is a light weight portable beveling machine for use on flat, curved or rolled plate. 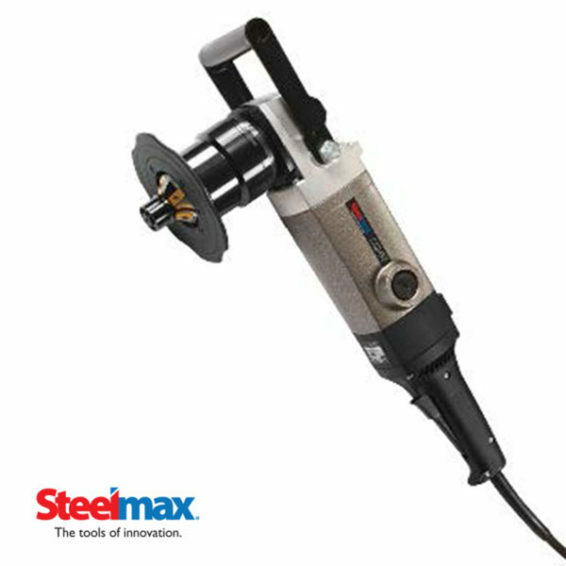 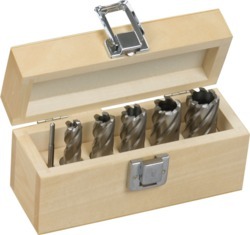 It can also perform OD and ID bevels on pipe, including deburring, and can chamfer and countersink holes with a minimum diameter of 1-9/16″ (40 mm). 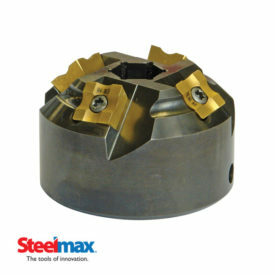 Interchangeable bevel milling heads, utilizing indexable carbide inserts, are available for bevel angles of 22.5°, 30°, 37.5°, 45° and 60°. 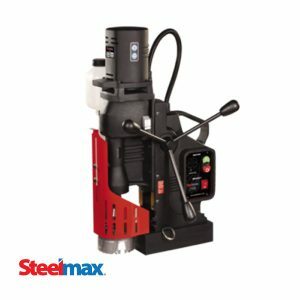 A radius milling head is also available with indexable carbide inserts to radius plate edges with a perfect 2, 3, 4 and 5 mm radius.